BMI annually publishes a report on beers that people no longer drink. This year, the report also included the fastest growing category. Let’s examine the 2008-2013 sales numbers. One hundred and ten year old Miller High Life is down 21.2%. Miller Lite is down 22.6%, however, the numbers show that this brand is in the turnaround stage with nice gains in 2014. Do not look for Miller Lite on the list next year. Budweiser is down 27.6% with much talk about their SuperBowl ad and how this might have some effect on trends for the brand. Milwaukee’s Best Light is down 42.6%, and Milwaukee’s Best is down 57% with pricing and the economy the primary reasons in both cases. Miller Genuine Draft is down 58.3%. And number one on the list of falling brews, a beer with no brand support, Budweiser Select, down 66%. Note all seven of these beers belong to either MillerCoors or ABI, but what is astonishing is when their combined volumes are added, these brands are still selling just fewer than 40 million bbls. Looking at the fastest growing brands during the same time period. Michelob Ultra is up 21.5%, bucking the light beer and low carb trends. Bud Ice, a high ABV product, is up 26.9%. Yuengling Lager, despite being distributed in only a small number of states, is up 34.2%. Pabst, the anti-establishment beer, is up 71.5% and should continue to rise with additional support from the new owners. Blue Moon, up 88.4%, is no surprise to anyone. And finally Stella Artois is up 95.4%. The two top beers with the most increase are both Mexican imports. 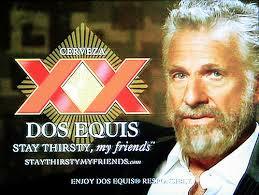 Modelo Especial is up 106.9%, and in the top spot, Dos Equis is up 116.6%. In this fastest growing category there are three imports, two crafts, one popular beer and two owned by AB. These fast growing beers sell at just short of 20 million bbls. this is half of those in the “no longer drink” category, all of which are part of AB or MC. It is interesting to note in the losing brand category, all of the beers are either premiums or popular priced, however on the fastest growing list, the beers are all high end priced with the exception of Pabst. This supports the IRI and scan data assumptions that the high end product the place to be. The support for these most rapidly growing brands from their breweries and wholesalers adds to their success. Higher margins, focused sales and marketing teams, coupled with the distributor X factor are driving increases. Just the opposite is true for the seven dying brands. Given recent trends, next year’s “no longer drinking” list will probably be very similar to the current year, with one or two changes. What will spark interest is watching the fastest growing list. When does Angry Orchard or Laganitas make it? Either way for both winners and losers, time is surely timeless! My bicycle trip across West Texas as a young District Sales Manager required a visit to Wichita Falls. George, who was the DM I was replacing, and I visited the distributor and then left to visit our number one on premise account. We ordered two Lone Stars at the bar and a gentleman next to us discovered we were working for the brewery. For the next 10 minutes this gentleman bashed Coors. Apparently some years earlier he had applied for the rights to sell Coors in Wichita Falls and was rejected. He had nothing good to say about Coors and criticized the entire selection process and the current distributor, even though Coors was number one in the market. After bad-mouthing the brewery, he finished his Coors, and walked out. If I have learned anything in all these years in this industry it is that beer is the most emotional and affordable consumer product available. The consumer knows that the beer they purchase says something about them. It reflects how they perceive themselves. And this emotionalism is all in the marketing. Today’s consumer has taken that to an even higher level. Not only is the consumer tied to a beer brand or style, they now patronize bars that support their segment, and often that is an establishment that sells only crafts. Such enterprises are comparable to Wine Bars. In other words, these craft drinkers self-segregate. Much has been written and discussed since the Super Bowl concerning ABs Brewed the Hard Way ad. The ad was heavily criticized by the craft industry, craft breweries, consumers and pundits and all have crucified ABI. It is as if ABI personally slandered each craft consumer. In addition to the game itself, the Super Bowl centers on the half time show and the ads. If the game is a blow-out, as was last year’s game, the game itself, ads and half time show all fade within a week. This year’s game and half-time show were favorably lauded, however, what continues to be discussed is the Bud ad. Did anyone really believe that ABI did not understand what they were doing in airing this commercial? Does anyone believe they went after craft drinkers in an effort to get them back to Bud? Than the question really becomes: what is the real reason for this controversial ad? Perhaps it was ABIs attempt to mimic MC and how they have positioned Coors, which has shown real growth in the last number of years. Coors seems to be attempting to reach out to those consumers who left them over the years by going back to the core root of the brand. This technique seems to have worked; in fact, it might have even brought in some new or even younger drinkers. Either way you cannot disregard the numbers that Coors is posting. Whatever the reason, ABI has really moved the needle when it comes to creating a stir over their beer. They have gotten ample press coverage, good and bad, and AB is continuing to run this ad in the general market. The numbers may show a spike in sales as their drinkers may come to their support, and perhaps, some new drinkers will try Bud just to see what all the fuss is about. The crafts can criticize ABI, but remember…. ridicule is the burden of genius…. I tend to live in the past because most of my life is there.. Many of the comments that I have gotten from this blog centered on stories written about Schlitz. Comments have come from not only former employees but also from wholesalers who were at one time associated with the brand. Recently I have gotten more comments about Schlitz than normal; however one comment I received in early December brought back a flood of memories. I was 23 and had recently moved back to Dallas from Austin where I had been working as a driver salesman for Falstaff. I wanted to work as a rep for a major brewery, so a close friend and I visited both AB and Schlitz. As it happened, both companies had their regional offices in the same building. AB was not hiring, but Schlitz was hiring. We both did well in our local interviews and were sent to Milwaukee for the corporate interviews. 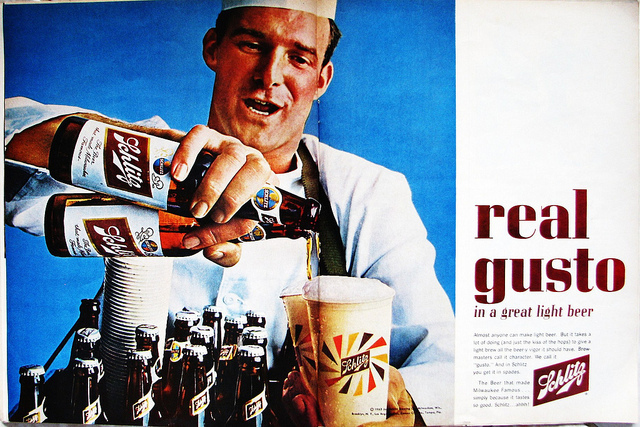 The primary interviewer and final decision maker was the creator of the Schlitz Marketing Institute, James Haire. I spent the majority of my interviewing time with Jim, and late in the afternoon he taught me a valuable lesson. Being young and inexperienced, I was not prepared for the interview, and Jim ripped into me. I did not get the position I had applied for and obviously was disappointed. By 1975 I had become the Schlitz Sales Manager for a large Schlitz house in Louisiana. I went back to Milwaukee for training at Jim’s school. Jim was there, but I do not recall spending time with him, nor did he remember me. In 1981 I went back to Milwaukee, having just purchased the seventh largest Schlitz distributor in the US and I was looking for final brewery approval. Jim and I went to dinner, and I must say I really wanted to bring up that ill-fated interview. The point I wanted to make to him that evening was that I was not good enough to work at Schlitz, but good enough to buy the seventh largest operation in the US. With respect to Jim I said nothing. I did get the approval to purchase the distributorship. Jim’s daughter, Judy, recently contacted me after reading some of my blogs about her father and old times at Schlitz. Jim passed away in January 2012 at the age of 95. He was a first-born American to European immigrants who had served as domestic servants. Jim obtained his GED after dropping out of high school to serve in the Naval Intel during WWII. He started at Schlitz in 1948 and his dream was to own a Schlitz distributorship, but instead he created what was referred to as Haire U. He retired, reluctantly, in 1982 and spent the next 30 years volunteering and giving back to his community. As Judy mentioned, Jim was a great story teller who relished an audience and never tired of talking about beer, and was no stranger to hyperbole. She said it was not until after his death did she understand how well he was respected throughout the industry. She found a three-ring binder with at least 50 letters of congratulations on his retirement, sent to him from wholesalers he had trained throughout the country. Without exception every one of them mentioned this positive influence on their careers and how much they appreciated what he had done for them and how much they would miss him. I never saw Jim again after 1981; however his training and institute were the industry standard. His legacy was to teach me a lesson as a young man. I would not have made it all these years in the beer industry without that one-day experience with Jim. I want to thank Judy for contacting me and sharing stories about her dad. For those of us who went to Schlitz U, we remember Jim with fondness. In the early 1970s when Miller Brewing Co. was testing their new beer Miller Lite, those of us in the beer industry were not certain about the identify of this new product. We soon learned it was a lighter beer, but with a higher price. And the consumer certainly was not yet aware of the new product either. It was not until Miller began advertising their famous tag line, “Great Taste, Less Filling” that the realization of exactly what this new beer was come to fruition. Miller Brewing had created an entirely new beer category. Light beer, which had not been in existence before, was now a new market segment. Clearly, a lower calorie beer category was now an option for the consumer. The introduction of this new market category was unlike the introduction of imported beers. 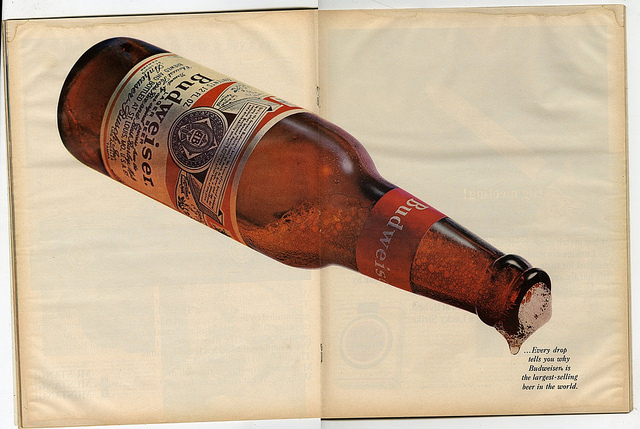 Led by Heineken and Corona, imported beers became popular in the US during the 1980s. Consumers knew by the brand name, for example, that Heineken was imported. They knew that Warsteiner, too, among many others, was imported. There have recently been numerous articles questioning just what categorizes one as a craft beer. The Brewers Association has a definition of a craft brewer on its website. So the question now is does the industry need to have a craft beer designation? Consider the fact that a craft brewer has a production of less than six million bbls. Really? When Pabst Brewing Co. was peaking in 1960, it did just under five million bbls. of beer. Does anyone consider Pabst Blue Ribbon a craft beer? 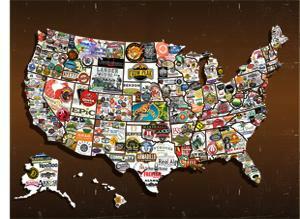 It was not long ago that many regional brewers did over one million bbls. of beer. Is Lone Star a craft beer? Is Iron City a craft beer? What about Drewry’s craft, or Jax craft? Should volume define a craft beer? The term independent means less than 25% of the craft brewery is owned or controlled by an alcoholic beverage industry member that is not itself a craft brewer. If this is true, then many imports would fall into that segment. Just how does Boston Brewing fit? The company is public so that makes it craft? The Craft Brewing Association’s definition of a craft beer is: a beer whose flavor derives from traditional or innovative brewing ingredients and the product’s fermentation. Maybe that would include IPAs, Wheat’s, Ales, Stouts and Porters? Again, that means many European brewers would fit the description as they have been brewing IPAs, Wheat’s, Ales, Stouts, Porters and others for centuries. Is there a disconnect in the definition of craft beers? Another recent article on branding addressed how certain companies are able to create cults, specifically the mega tech company Apple. When a new IPhone is released, customers line up for blocks simply for the opportunity to purchase the latest edition of the product. Apple may just be the personification of a cult following. If that is the case, than perhaps the term craft equates to nothing more than a cult or following. By saying a beer is a craft designates it as a product which now is the hottest segment of the beer market. The definition of craft is not nearly as clear as what the definition of a light beer or even an import beer. If the above is true, then all the term craft means is that the product is a marketing or branding term and therefore, has no true meaning. If a beer is one of the most identifiable consumer products that one can afford, and purchasing a particular brand is highly aligned with the consumer’s belief of who he/she is, then does buying a craft beer mean the consumer is part of a cult, like Apple? This discussion will continue for years as the craft segment continues to grow. After all, it’s all in the name….